By the time of the album’s release in ’72, Madagascar was in the middle of period of political turmoil, and many of the young musicians that Gilson had met during his three trips to the island were finding their way to France, allowing Gilson to recruit an all new, more compact six-piece Malagasy lineup for recordings and performances in Paris. The new group included Frank Raholison (drums), Sylvin Marc (vocals, guitar, bass and percussion), Zizi Japhet (bass, percussion), Gérard Rakotoarivony (bass), Del Rabenja (tenor sax and valiha – a bamboo tube zither) with Gilson handling electric piano and ondioline (an early type of proto-synthesizer). 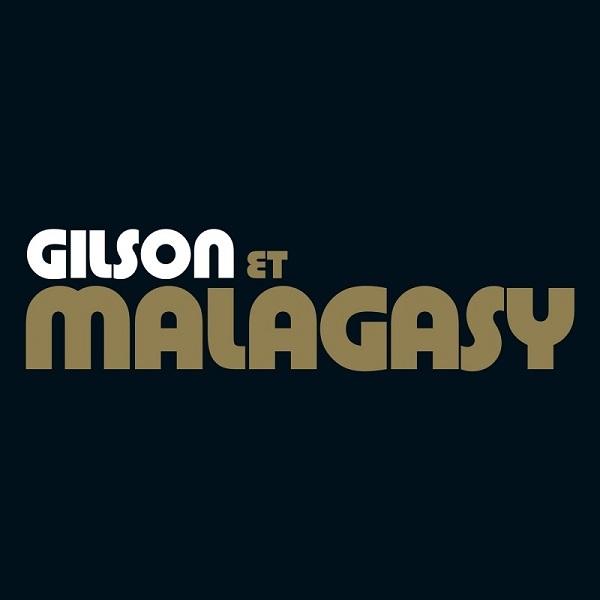 This lineup recorded the second disc in this set Malagasy at Newport-Paris in mid-1972, and features nine compact compositions, six by Gilson and one each by Marc, Raholison and Rabenja, all nothing short of outstanding; of special note among these are Gilson’s “Requiem pour Django” and Marc’s “Veloma Lava.” Around this time Gilson recognized that Rabenja and Marc were coming into their own as composers, and together had enough material for an album of their own, so he made arrangements for the two to record their own album Madagascar Now Maintenant ‘Zao with the remaining members of the Malagasy group, excluding himself; Gilson neither plays or composes on it, though his influence is often felt. Left to their own compositions, this is by far the most ethnic disc in the set, offering something very special and unique. The fourth disc in the set combines two archival albums from 1974, Colchiques dans les Prés and Les Touches Noires – both recorded in various sessions over the previous three years, with subsets of musicians from the first Malagasy big band, as well as the second six-piece lineup. Four of the cuts here are culled from live shows, others from the early sessions in Madagascar, all are nothing short of excellent. For the vinyl aficionados, this set has also been released as a 5-LP set with a bonus 45RPM single that isn’t included on the CD version. All taken, this set gives the listener insight into a very important aspect of the late Jef Gilson’s work.